This entry was posted in Science, Sports and tagged Dr. Frank Jobe, Tommy John Surgery. Bookmark the permalink. Hi Mr Reeder, This isn’t about Tommy John: this is about Cheers (episode 25 to be precise) which you are credited with, if Wiki is correct. (That late great show is syndicated on NZ TV at the moment.) When students have asked me in the past, who will be regarded in the future as the great writers of our day, I have always told them, forget about the Nobel laureates; to find the writing that will survive into the next centuries, look in the great factory complexes of US TV (the equivalent of Shakespeare’s Globe). Somewhere in there, is a Mr Shakespeare. And last night I was proved right. The end of episode 25 is purest Much Ado About Nothing. Well done and thank you. Thank you so much for your generous comments. You got me to go to my bookshelf and take down that old script, called “Personal Business”, and reread it. It was almost 30 years ago that it was filmed, so I’d forgotten most of what was in it. I’m sure a lot of the good stuff must have been contributed by my writing colleagues; we had many great laughs together. We didn’t think we were creating literature — at least, if anybody did, he or she didn’t dare say so out loud. You make an interesting point, though, and I wonder if Shakespeare and his peers thought they were creating immortal works, or just trying to get something down on paper because a deadline was looming. I don’t think there was a conscious effort to adapt Much Ado About Nothing to this episode of Cheers, but there is a lot to be said for reading as much good material as possible to improve one’s own writing. You never know when a centuries-old approach to a scene might work in the present. Somewhere I read that at first Tommy John played catch with his wife to remind himself not to risk reinjuring his arm by throwing too hard. Firing a fastball at one’s wife can put a strain on the elbow, not to mention the marriage. 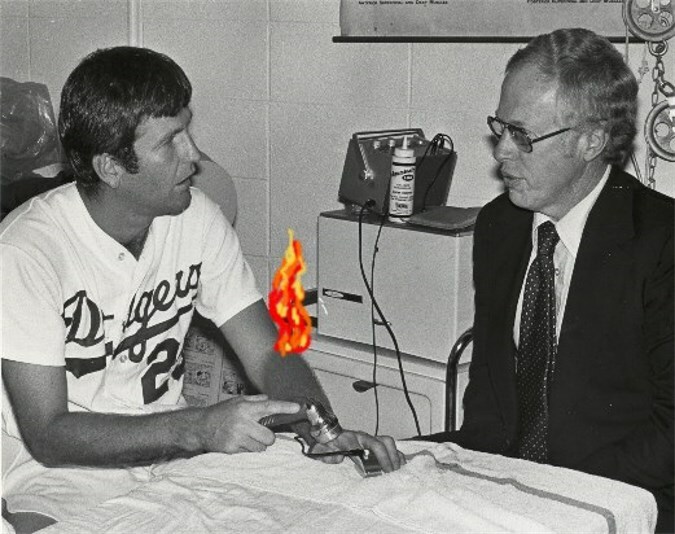 Send your Tommy John story to Vin Scully, T.A. I suspect he’ll use some of it when he’s filling time during a conference at the mound. As you know, Vin Scully has been calling Dodgers’ games for over 60 years, so he has told a lot of stories in that time. Your comment got me wondering… when Tommy John’s arm blew up in the 4th inning of that game against the Montreal Expos, what story did Vinny tell while John left the field and the relief pitcher warmed up? It couldn’t have been as compelling as the story that was just beginning to unfold that night.